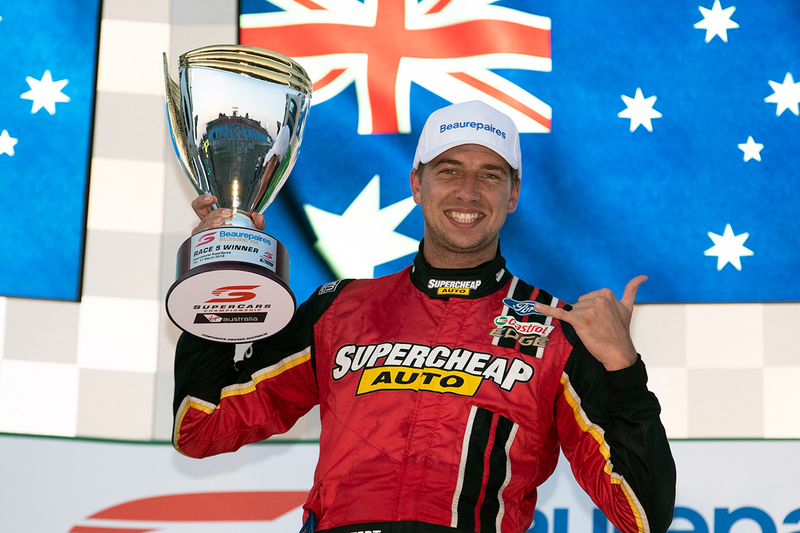 Chaz Mostert believes it's "way too early" to be thinking about his 2019 Supercars title prospects, despite his form with a resurgent Tickford Racing. 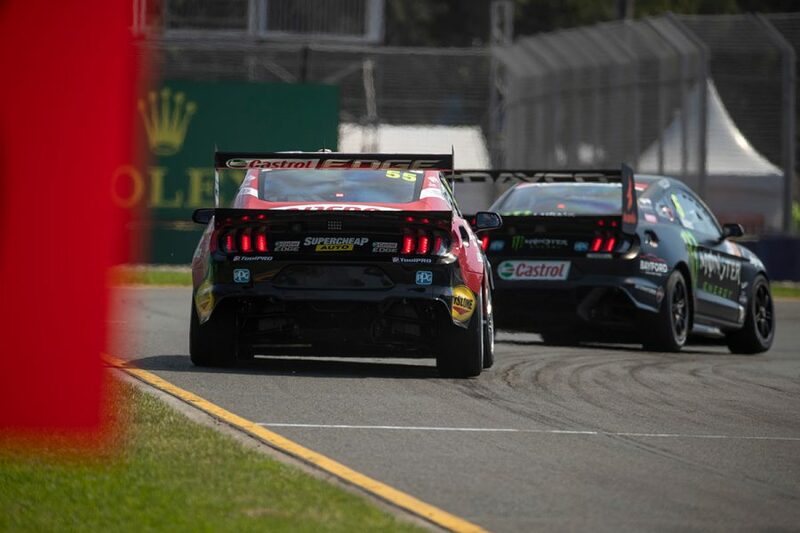 The Supercheap Auto Mustang ace sits third in the standings and is the only driver other than points leader Scott McLaughlin to have won a race. That came at Albert Park when McLaughlin non-started on Saturday evening, but Mostert showed impressive race pace across the weekend and won the Larry Perkins Trophy. Tickford endured a lacklustre 2018 until Mostert found form in the second half to at least take a race win on the Gold Coast. Team-mate Cameron Waters also has three podiums already this year, with Tickford gains accompanying the introduction of the new Ford Supercar. Asked about his hopes of putting together a title bid, Mostert said: "It's way too early in the year to be thinking about that. "We got good momentum at the end of last year, to get that win on the Gold Coast was pretty big for our team. "The start of last year was an absolute nightmare for where our cars were. "We made a lot of gains and definitely over the break, we've kept trying to develop the path we wanted to go. "Very lucky we've got a guy like [engineer] Adam De Borre in our corner and the rest of the team's really come together with him now. "I think our whole engineering group is a lot better this year with some of the shuffling around. "A couple of new drivers in, too, Lee [Holdsworth] and Will [Davison]; they've brought a lot of outside help in and the positivity they've brought to the team has really helped us as well. "It's a massive team effort. Cam was up there [at Albert Park], when you've got a young team-mate pushing you along, it really makes you work together and strive to get the best." 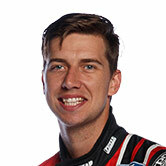 Mostert noted qualifying consistency as an area of improvement, having started 12th, ninth, 22nd, second, seventh and first across the Adelaide and Albert Park events. "I feel like our racecar is more superior than our qualifying car," he added. "We need to work out why that is. When we had those couple of bad starting spots, to be able to race forward shows we've done a really good job. "If we can just qualify a bit better, it makes our job a lot easier." 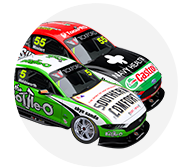 While Mostert was fourth in the points leaving Albert Park in 2018, Symmons Plains offered the first external signs of what was to come. The top Tickford finisher was 14th on Saturday and 10th on Sunday, which means Mostert is uncertain about its Tyrepower Tasmania SuperSprint prospects. "It's a fairly different style of track," he said. "The Triple Eight guys have been the cars to beat there in the past. "Tasmania's probably one of our nemesis tracks over the last couple of years with Tickford. "We'll just have to see what we go down there with. "It's obviously a lot different going there this year, where our car is compared to where our car was last year." Before heading to Tasmania, Mostert will tackle the Laguna Seca round of the Intercontinental GT Challenge with BMW on March 28-30.